This event will present artists from different countries of origin and varying approaches to contemporary dance such as Tango/Physical Theatre, Aerial dance, Dance and Technology, etc. Artists from Argentina, Canada, Colombia, Chile and Mexico will be part of this season. 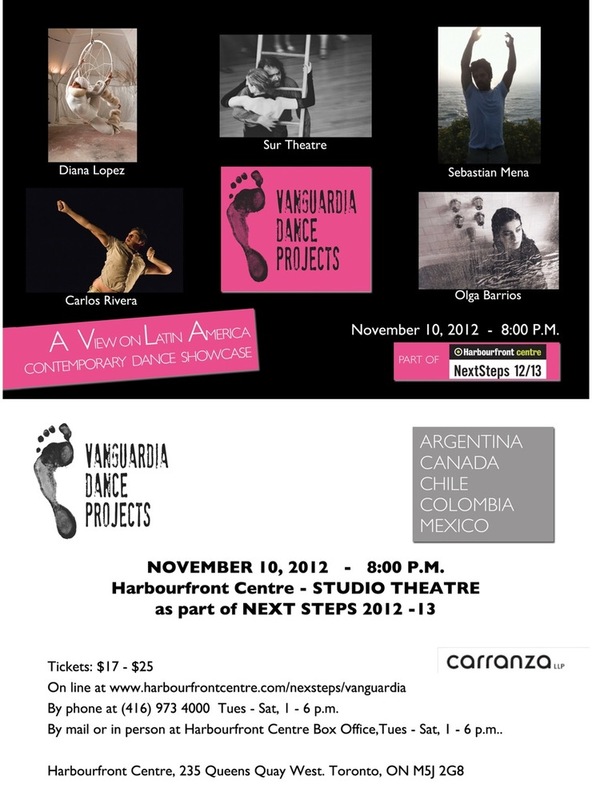 We will present five talented artists/companies: Diana Lopez, Sebastian Mena, Carlos Rivera, Olga Barrios and Sur Theatre.